Unfortunately for Kendall Jenner, not everyone was distracted by the 2019 Grammy Awards this weekend. On Sunday afternoon, Feb. 10, 2019, the supermodel was spotted at the Wells Fargo Center in Philadelphia, Penn., where she cheered on her NBA star boyfriend, Ben Simmons, as he and the Philadelphia 76ers took on the Los Angeles Lakers for the second time this season, the New York Post reports. However, a number of viewers couldn’t help but notice when Jenner appeared to stare at LA forward LeBron James from the stands in lieu of her very own beau, and it wasn’t long before social media users reacted to the Keeping Up With the Kardashians star’s reported faux pas. 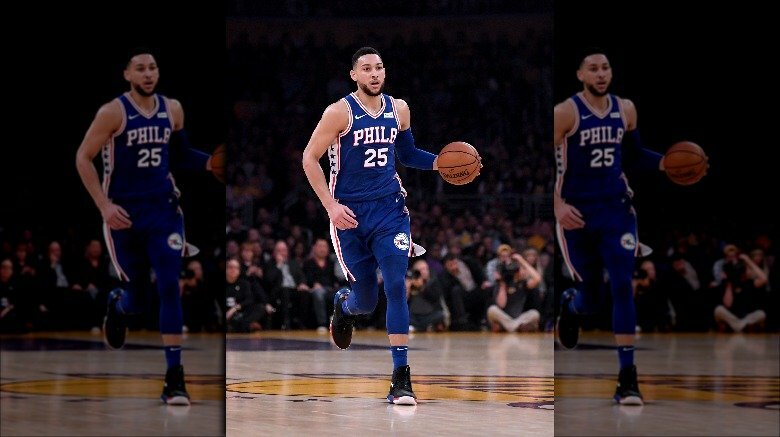 As noteworthy as Simmons’ 3-point attempt, of course, was Philadelphia’s 143-120 win over the Lakers. While the star point guard scored a total of 8 points, 34-year-old James, who signed a four-year $153.3 million contract with the Lakers last July, ended up with 18. For her part, Jenner was later seen out and about with Anwar Hadid, the 19-year-old younger brother of models Gigi and Bella, over the next few months. According to TMZ, the two were allegedly spotted kissing and cuddling in June 2018, and later went out on what appeared to be a double date with Kourtney Kardashian and Grown-ish actor Luka Sabbat. After the duo stepped out together at New York Fashion Week that October, a source told People that they seemed “very much together.” However, by the following month, Jenner and Simmons appeared to have reconciled their on-again, off-again relationship. At the time of this writing, neither Kendall Jenner nor Ben Simmons have publicly commented on that look she appeared to give LeBron James over the weekend. However, considering the fact that the reality TV star took two trips in a private helicopter to the City of Brotherly Love over the last week just to cheer on her NBA star boyfriend (via the Daily Mail), we’re guessing she really only has eyes for her man.